Nagarathargal, Cheftains and Zamindars. The temple posseses more than 1000 statues and 450 stone inscriptions. The temple has more than 100 sannidhis. Various idols, bronze statues, paintings, thirusutrugal, thirtakulangal, 1000 pillar mahal and towering gopurams are the specialites of the temple. The temple is very enormous with an area covers around 25 acres and the East gopuram built by King Krishnadevarayar with a height of 217 ft which is the second tallest gopuram in Tamilnadu. Other than this, the temple consists of vallala Maharaja gopuram, kili gopuram and ammani amman gopuram which are of historic important. The main deity of the temple is Annamalaiyar and Unnamalai Amman. The Ezhuthu Mandapam situated in Girivalam path is an excellent art gallery. Kanthashram. Pavazhakundru. Ramanashram and Astalingas around the Girivala path are few notable tourist spots. Villages with many temples are known as Padavedu [at] Padaivedu Village. 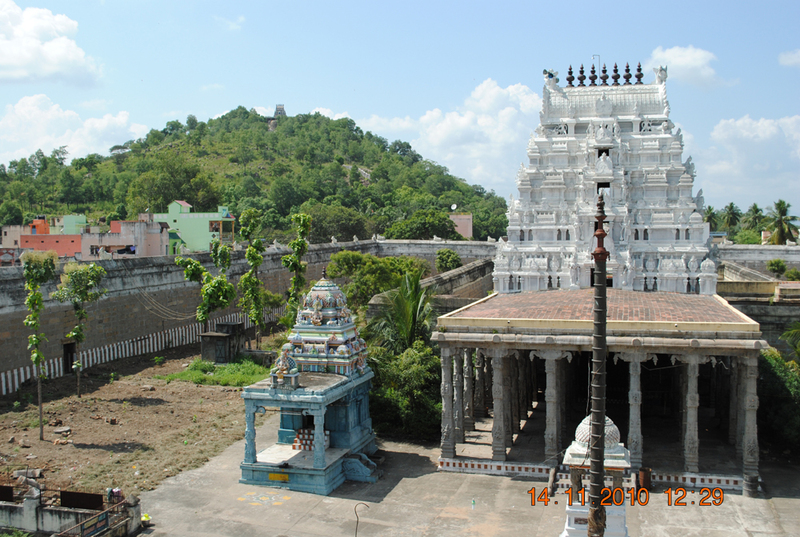 The temple is situated at a distance of 55 Km from Tiruvannamalai, 40 Km from Vellore and 20 Km from Arni. After the fall of Chola dynasty in 10th and 11th Century, the Sambuvarayars, one of the minor kingdom of Chola dynasty declared their independence and established their rule in Padaivedu. Even today the remains of their fort can be seen at this place. Arulmigu Renugambal temple is one of the famous Sakthi stalas. The amman idol in Garbha griha is self-existing and the presence of Lord Brahma, Thirumal and shiva beside her proves that Lady Sakthi is predominant in the universe. Amman as suthai thirumeni is present at the backside along with Banalingam and Janakarshana chakaram established by Adhisankarar. The Vibhuti Prasatham given here was collected every year in the tail month of aani from the place of yajna done by Saint Jamathkanni and it is believed that this vibhudi prasadam will cure disease and avoid evils. Apart from the presence of many number of temples and the place is surrounded by mountains, coconut groves and banana sheds. The head of the Goddess Renuga devi was present as self-exiting in the Garbha griha and festivals celebrated on every friday in the month of Aadi is very special. Arulmigu Raghumayi Sammetha pandurangan temple in Thennakoor Village is an example of nagara style of architecture in North India. As per hindu puranas it is a place where Goddess Lakshmi Devi live and they maintain the gardens well. The enterance gopuram is very tall and the vimanam present inside are in nagara style of architecture and it has a huge mandapam with a lots of paintings and we can seek blessings of the 10.5 ft tall Pandurangan and 8.5 ft tall Raghumayi idols from here. The deities are adorned by different styles of clothes and ornaments in 6 days a week. The place is located in Vandavasi to Kanchipuram highway, 5 Km from Vandavasi. It is the next biggest temple next to Tiruvannamalai Annamalaiyar temple and a best example for Vijayanagar architecture. Periyanayagi Amman temple located at the foot hill and Ponmalainathar temple is located at the hilltop. It has more than 10000 statues and 60 stone inscriptions. It was a famous trading point and spiritual place during Vijayanagar reign and the temple was administrative centre in ancient time. The compound walls of Periyanayagi ammman, marriage hall, Garbha griha were inscribed with the stories of saivisam and vaishnavism. Devara statues, avatars of Lord Vishnu and sthalapurana statues are few notable ones. Thirukameshwarar Sammeda Kokilambal temple is located at the backside and Ponmalainathar temple situated at a distant of 500 feet are known for their architectural beauty. 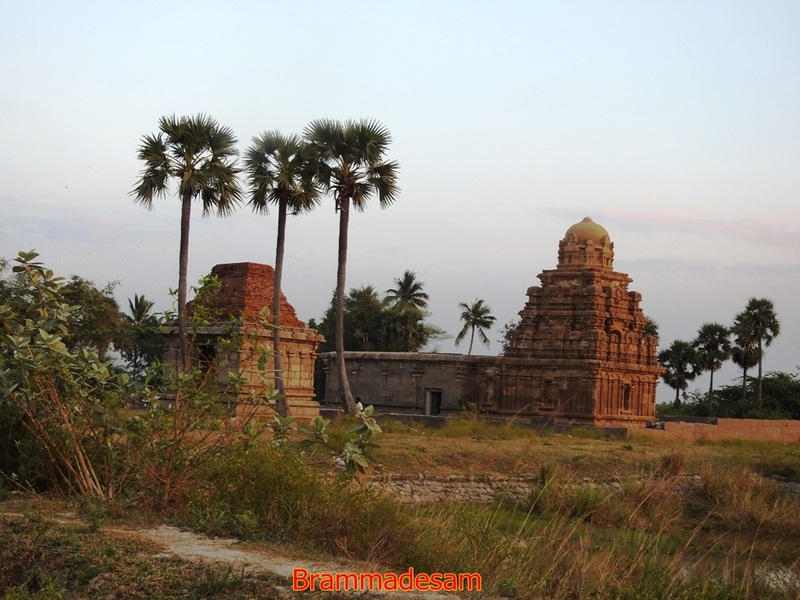 Enthira Sanishvara temple is located at Erikkuppam Villagein Arni-Padavedu road. It is one of the navagraha stalas dedicated to sanishvara, who blesses in Linga form. It is very famous during sanipeyarchi which occurs once in every two and half year. The 5 feet tall and 2 feet width Lord Sri Sanishvarar in open Garbha griha yandra has hexagonal structure at the centre and has thirusulam at its 6 edges and has Mahalakshmi and Lord Hanuman at the bottom, it also has Surya and Chandra structures in the forehead and a crow inbetween. There is a statue on Sanibhagavam in a chariot ridden by crows at the entrance. There is also a painting depicting all the navagrahas with their vehicles at the front mahal. Tiruvothaur temple is sung by Thirugnanasambanthar, one of the savaikuravargal. The miracle of transformation of the male palm tree into female palm tree by the songs of Thirugnanasambanthar occurred in this place. This place is currently known as Cheyyar. The Rajagopuram in Veedpureeshwarar temple faces east direction with 6 levels is full of sudai structures. The temple has wedding hall on right, temple pond on left and garden next to it. New structures of murugan, Vinayagar, Natarajar, Gnanasambanthar and palm tree are seen in the front mandapam. Right side of the temple has Ambal sanidhi and her lion straight opposite to her along with kodimaram, palm tree, Gnanasambanther & Sivalinga statue are present next to it. Garbha griha has Vedapureeshwarar facing east with Vimanam on the top. Sandeeshwarar is present in the left side Balagujmbal has a separate temple for herself. Navagraham are present in the left side of the temple. The grand festival happens on every thai month on every year. The famous Yoga Ramachandra temple is present here. Statues of perumal has his left hand over his heart and Hanuman reading vadas opposite to him can be seen here. Very artistic Dwarabalagars statues can be present next to it. The front mandapam has Ramayanan, Dasaavathars of Vishnu, Gishnalelai, Krishnadevarayar statues special Structure of Krishnadevarayar is notable are seen. Hanging lotus statue, Raman – Valli fight scenes Krishnalelai statue of Sukkirivan Valli, statue of Krishnadevarayar are few notable structures. The temple was constructed during Vijayanagar reign is famous for great Architectural & historically important stone inscription. It is located in Chetpet Vandavasi Highway 5 Km from Chetpet. It is 6th among the songs sung in Thondainadu. as valli as monkey Indran as squirrel, yeman as muttam (Crow) workshipped the lord, hence the place is called kuranganilmuttam. The front entrance of the temple has statues of squirrel & crow. God – Valleshwarar, Koyamalai nadir, Goddess – Vallaiyamman, Sthalaviritcham – Elandai,Theertham – Kakkaitheertham and has small garbbha griha facing west and Ambal sanidhi faces south. The temple also has sanidhis for Vijayagar, Murugar, Vishvanathar, Visaalatchi durai, bramman navagraha, Thirumal, Bairavar Nalvar Sandeshvarar and Sapda Mathars. cave temple of pallava period is present next to this temple. Munugapattu pachaiyamman Manarsami temple is one of the oldest temple. It functions as family temple for thousands of families thousands of devotees gave their offerings from first 10 Mondays from Tamil month of Aadi. The east facing goddess Pachiyamman blesses her devotees with a graceful face and in standing posture. Sudai structure in sitting posture can be seen at the backside. The Mahamandapam has the Goddess along with her friends and angels. Kaval Deivangal are seen at the entrance. Sathanur Dam was built in 1956 across the Thenpennai River. with the capacity of 119 feet. 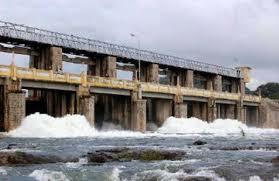 It is one of the biggest dam in Tamilnadu constructed in Kamarajar period. The parks and pleasant atmosphere are enjoyable to the tourist. There are more than 100 crocodiles in the crocodiles park. It is at a distance of 30 Km from Tiruvannamalai and 24 Km from Chengam. As per the opinions of the historians, the place ruled by the king Nanan Sei nanan during ancient period is Navira hills, presently called as Parvathamalai. It is present in the foothill of javadi hills and Abidagujambal – Maligarjunar temple is locaed in the hill top. The temple is a boon for mountain treckkers with natural scenaries and gentle breeze. This hill is known as Thenkailayam and workshipped by many saints. This place can be reached either from Thenmadhimangalam or from kadaladi. It is at a distance of 25 km from Polur and 30 Km from Tiruvannamalai. 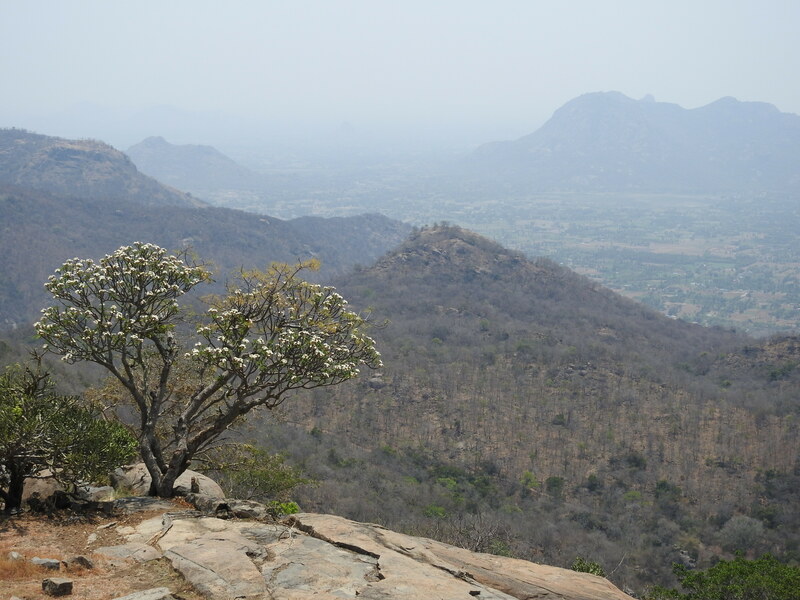 Javadhu hill is a part of eastern ghats extends to an area of 260 sq.km. The malayee triblas live at a great number in this hills. Moe than 200 hamlet villages are present here. Evidences of New stone age people are found in the place pathiri and head stones and funeral symbols are seen in Kilcheppili and Mandaparai. Tombstones from Pallava period to Nayaka period can be seen here. The Kovilur Shivan temple built at Chola dynasty is of historic importance. The people cultivates millet like Thinai, samai and varagu. Honey, pepper, fruits are also provides the livelihood for these people. Beema falls, boat house, park Kovilur Siva temple, Vainu bappu Observatory, Amirthi Zoo are the important tourist spots. Bus facilities are available from Polur and Tirupatthur. It is a famous Jain temple. The 18 feet statue of Neminadhar, 23rd theerthangarar is present in the hilltop. The thirupathangal and Kundavi nachiyar inscription are present here. The Mahavir temple located at the foot hill has 5 feet sudhai statue, statues of theerthangarar’s, cave paintings, stone inscription. The temple is present at a peaceful and proper ventilated place. This temple can be reached from vadamathimangalam Via Polur, Arni or from Mattapiraiyur or Kommanandhal Via Devikapuram. This temple is one of the biggest cave temples of Tamilnadu. 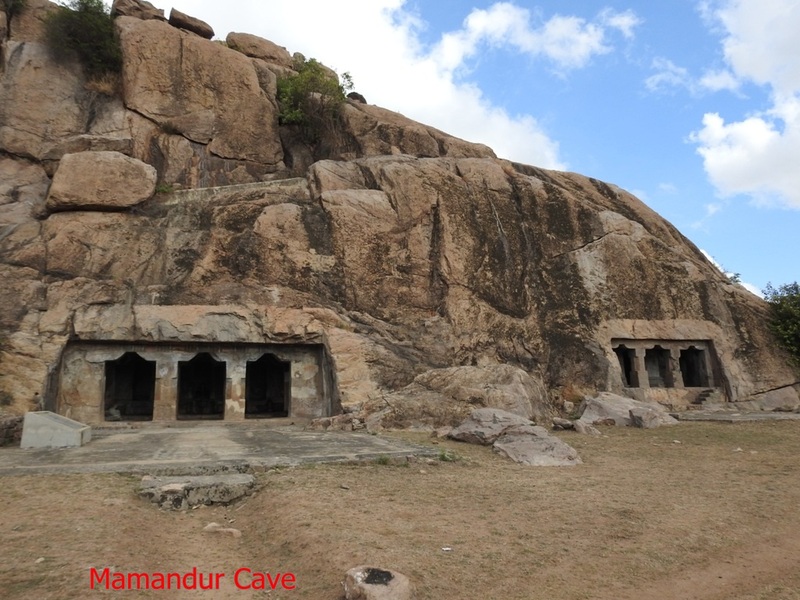 There are 4 Cave temples located in Narasamangalam – Mamandur Village hill. These temples were constructed by the king Magendiravarma and his successors. The 1st and 2nd cave present at the extreme right are for Vishnu and Shivan, respectively and there is no idol in the third cave at the hill top. The 4th cave present at the southern end is an incomplete one. The pallva grantha inscription which says about the special names of King Mahendiravarma and the 10th century stone inscription which says about the chitramega thadagam which is present at the back of the hill are historical treasures. Valeeswarar and Bairava temples are situated at the hill top. The cave temples like Avagibagana palavaneshwaram, Simha Vishnu are just cave temples during Pallava period. Later kings extended these into artha mandapam, Muga mandapam, kopurams The name of the idol is Thunandar. The historians mentioned that the natarajar statue in the pillar is the first natarjar statue. More than 30 stone inscriptions present here contains rare and important historical news. The hill present at the opposite to the temple has jain bed and various statues. 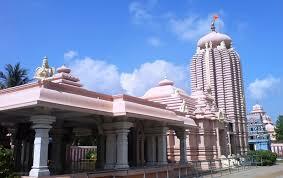 This temple located at a distance of 2 km west to Desur . This temple was constructed during the chola period, the main deity is Thadakapurishwar. The place was mentioned as Jeyankonda Cholamandalathu palkundrakottathu thennattur nattu kulathur in the temple stone inscription. The main deity eas mentioned as Agneeshwaramudaiyar during Kulothunga I (1072 cen CE), as mudal kulanthai Aandar during Rajarajan II (1166 cen CE) and currently as Thadakapuriswar. The stone inscriptions in Rajakkal rock and Sarukum rocks mentions about administration and details about the land donations and few more. The raja gopuram eas erected as a remembrance of the victory of Vijayanagar emperor over Sambuvarayars. The temple is a unique one which contains sagaskara lingam which has more than 1000 lingams on it, marriage hall, statues, stone inscription which is located at the centre of the place Madam. It is located at a distance of 5 km from Enthal junction in Chetpet – Vandavasi road. This is a stone temple built by Eesana Siva pandithar, guru of the King Rajendra chola during his period. The place was mentioned as Jeyankonda chola mandalathu kaliyur kottathu Aakkur oor adutha Bagur nattu nagaram vikrama chola mandalathu choleeswaram. The east facing temple is with two storey vimanam and artha mandapam next to it followed by muga mandapam. The name of the Lord Shiva is Gangaikonda Sozheeswarar. The stone built temple is a classic example for Chola’s architecture. It is maintaind by Tamilnadu archialogocal department. The temple is located in vandavasi – Kanchipuram highway, 500 km east to Kuzhamandal village. The 3 storey Chandramoulishwarar temple was built using sandstone during later pallava kings in Brahmadesam, Vembakkam taluk. The stone inscription mentions this place as Rajamala sathurvedi mangalam. It is also known as Karaikoodu Bhrammatheyam and the name of God called as Thirupoondai Aandar. Poondai means palm tree and Bharammandhasam is known as the land donated to well educate Brahmins.A peple sabha known as Perunguri mahasabha and it was used to take important decisions like donations of land. The temple has more than 90 stone inscriptions which has details like establishment “thaneer pandal” remembrance of Queen Veeramahadevi W/o. Rajendra Chola I, who underwent sati after the death of the king, functions of math, celebrations. Rudra Koteeshwarar temple is another temple present here. 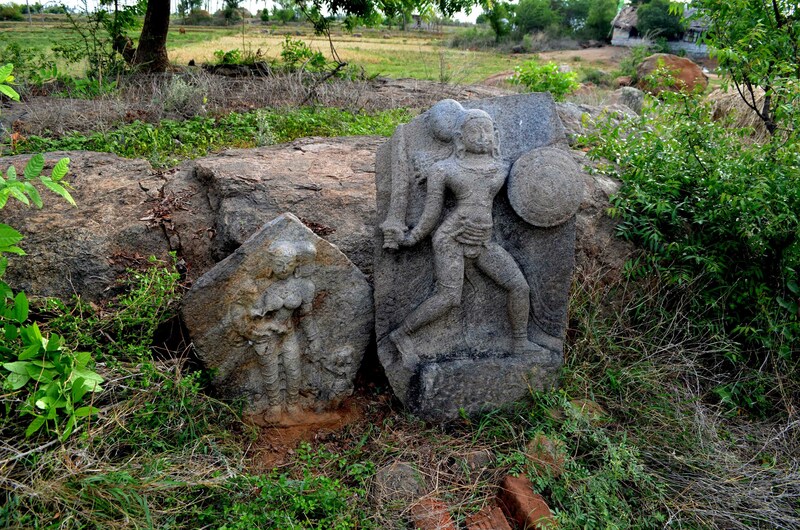 The temple stone inscription gives us details about the land donated by Kulothungam II. This temple is situated in Brhmadesam, natteri village in Kanchipuram – Arcot highway, Vembakkam taluk. Tiruvannamalai temple celebrates many festivals throughout the year and the important one is being celebrated in the tamil month of Karthigai (Nov – Dec) full moon day.The karthigai brahmahotsavam is celebrated for 10days and on full moon day at about 06.00 hrs in the evening the mahadeepam will be lighted and this can be viewed for many kilometers around the mountain. As the God Arunachaleeshwarar in Tiruvannamalai is in the form of fire (agni), the lamp lightened on the mountain top is considered very special. 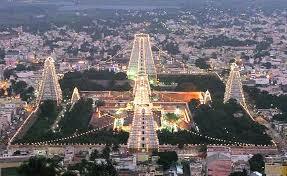 lakhs and lakhs of people gather in Tiruvannamalai for maha deepam and go around the mountain for Girivalam. Periya Theer (Chariot) is also a special function of this festival. karthigai Deepam s considered as ne of the important festival of India. One of the most important festival of Tamilnadu, chittra pournami is celebrated in TV Malai by many tamilians. lakhs and lakhs of people will take part in Giri valam. As the mountain itself is considered as Lord Shiva, it is believed all our wishes will come true, if we go around the mountain in the 14 km Girivala path and seek the blessings of lord Annamalaiyar and Goddess Unnamalaiamman and it is mentioned in the puranas that if we go around the mountain in Girivalam on full moon day is equivalent to Girivalam on the whole year. 3000 years old bigstone symbols like stone Circle, Urn etc. The Valiyar stone has more than 100 stone symbols and they are 3000 years old. 5000 year old of new stone age remains and stone machinaries are found here. Sambuvarayas ruled in 13th and 14th Century, with padavedu as their capital. Some remains of the sambuvarayas fort are found here. In 16th Century CE , the fort built by Marathas is seen in the village of Durgam. It is a Memorial pillar built in the memory of Robery kellis. Chengam Herostones are significant in the History. It is engraved in vattezhuthu tamil belongs to 6th Cen CE.